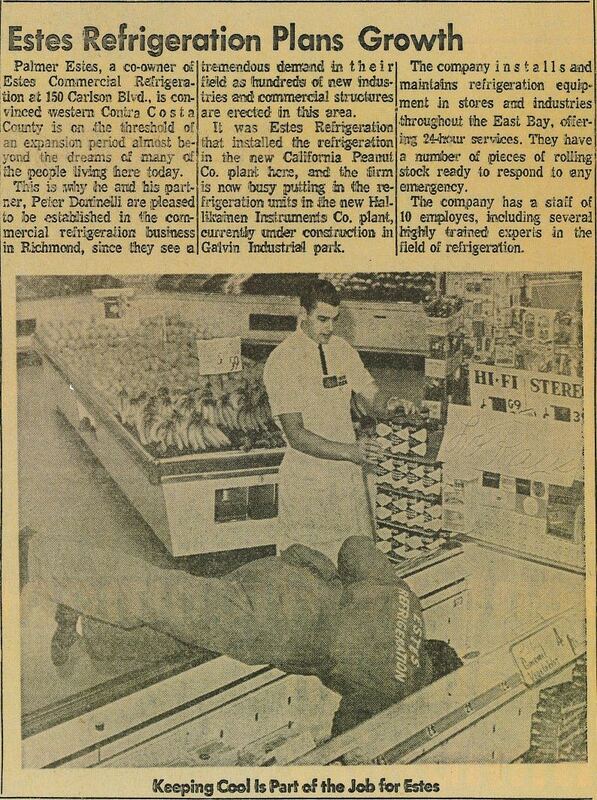 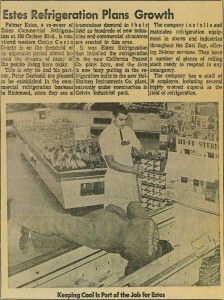 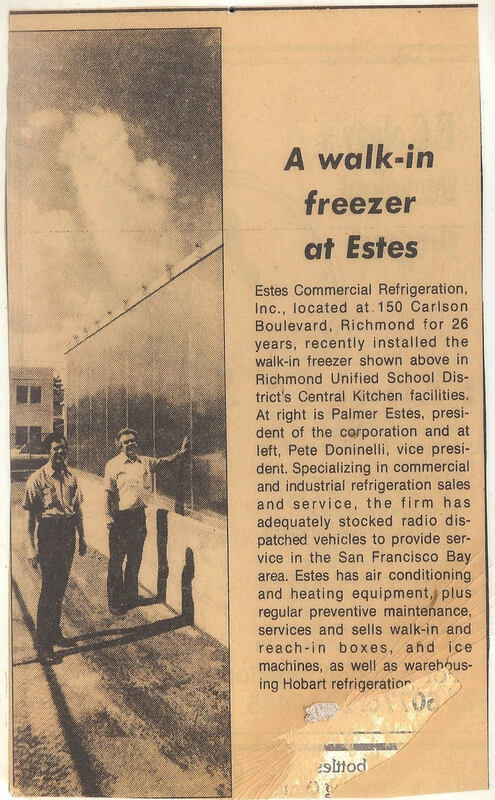 History | Estes Refrigeration, Inc.
Estes Refrigeration, Inc. was started in 1953 by Peter Doninelli and Palmer Estes as a commercial refrigeration company specializing in commercial refrigeration service. Customers in the early days of Estes included; restaurants, grocery stores, food distributors, and convenience stores. 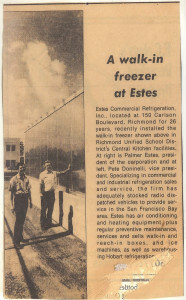 In 1986, Peter Doninelli’s son, Michael Doninelli, bought out Palmer Estes to become the Owner and President. 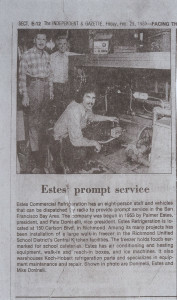 Since Michael took over the company in 1986, Estes has grown revenue and customer base by more than 10 times. The business of Estes has changed as well, no longer is Estes just a commercial refrigeration service company. 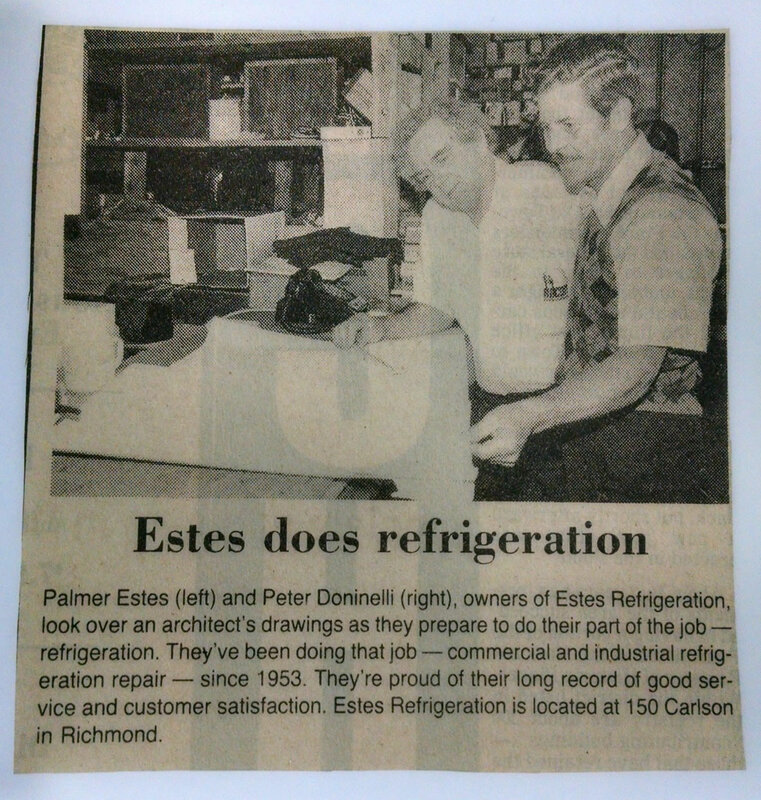 While still focused on refrigeration, today, Estes is equal parts, service and design build. 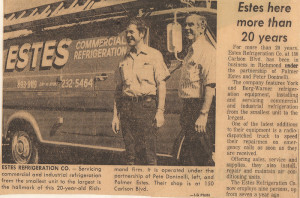 With the growth has come a change in the customer base as well, from local grocery stores and restaurants to some of the largest companies in the world located from coast to coast. 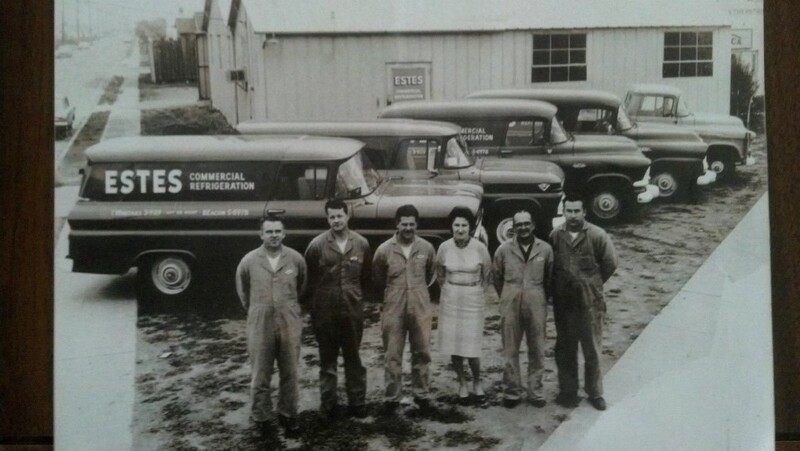 About the only thing that has not changed since 1953 is our commitment to delivering the highest level of products and services along with excellent customer service. 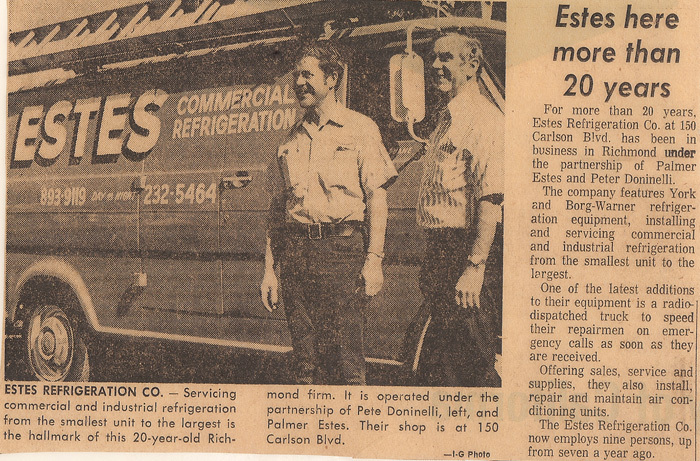 After 47 years at 150 Carlson Blvd. 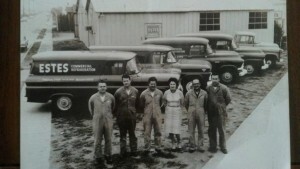 in Richmond Estes upgrades to a bigger facility at 1400 Potrero Ave. Richmond, CA.